View More In Saffron - Page 4. Saffron is among the most precious and expensive spices: it is very highly prized because the thin flower stigmas from which it is made are very light and must be hand-picked. 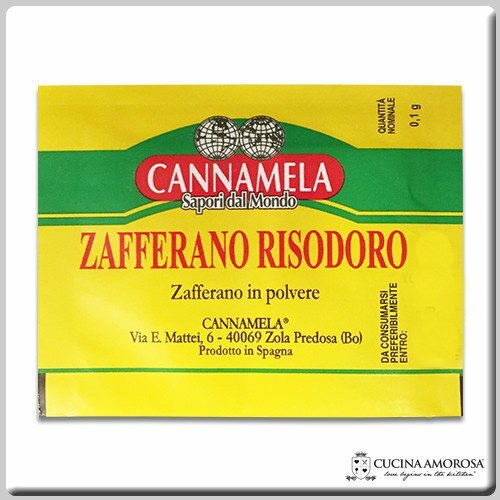 Cannamela devotes a broad range of sizes to this outstanding product: in every package the fine, red dust is preserved in its fantastic aroma by a thin paper envelope. Every saffron package suggests new and easy recipes to give a tasty and colorful twist to your dishes. 12 Envelopes - Pure Saffron Powder. Pulverized Saffron - Easy to Work With. If you have any questions about this product by Cannamela, contact us by completing and submitting the form below. If you are looking for a specif part number, please include it with your message.